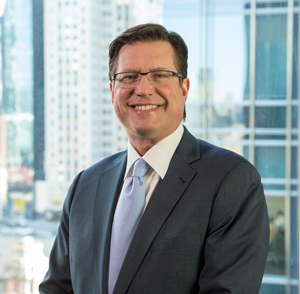 Brian Hurst grew up in Chicago and has served the city and surrounding community as an attorney for over two decades. He has been recognized by various organizations for his exemplary legal services, talent as a trial lawyer and commitment to the community. Mr. Hurst is a Fellow of the American Bar Foundation and has been named a “Top Illinois Lawyer” by SuperLawyers.com, “Top One Percent” by the National Association of Distinguished Counsel, “Top 100 Trial Lawyers” by the National Trial Lawyers, and honored with America’s Top 100 Attorneys® “Lifetime Achievement Selection”.